Cunard likes to reward their loyal customers for returning to cruise with them time and time again. So, if you’re a Past Passenger, Cunard would like to say thank you with bonus discounts*. Book a 2020 Cunard Alaska voyage and Cunard Past Passengers will receive up to 5% off the total cruise fare*. CALL US TO BOOK and enjoy bonus discounts off the below pricing*. Don’t forget to have your Cunard Past Passenger numbers handy. 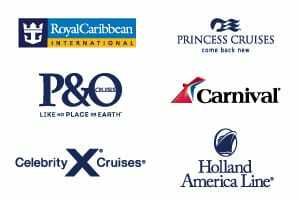 View applicable Past Passenger Savings cruises below, view all Cunard cruises from Australia, explore more options on our Cunard cruises page, or use cruise finder to locate your perfect Cunard cruise deal. Past Passenger Savings: Fares are cruise only per person, in AUD, in complete twin cabins, based on lead categories per meta stated, inclusive of all discounts, taxes and charges (which are subject to change). Not combinable with any other offer. Supplements apply for other cabin categories. Some outside and balcony staterooms have an obstructed view. Grades, staterooms and preferred dining times are subject to availability. Should you not receive a stateroom assignment at the time of booking; one will be assigned to you at Cunard’s discretion closer to the time of sailing. Onboard credit of US$615 is based on a Grill Suite on the 38 night sailing from Vancouver to Tokyo on 29 August 2020, is non-transferable, cannot be redeemed for cash or be used at the medical centre or casino and is only applicable to bookings made on the Launch fare. Past “Cunard” passengers booking before 28 February 2019 will be entitled to a 5% discount off the launch fare (discount has not been applied to fares shown). A reasonable number of cabins have been set aside at these fares. Once this offer ends, fares may revert to a higher fare or may also be discounted, fares are subject to availability. Please contact Cunard for 3rd / 4th and single occupancy fares. Port order and content for all itineraries may vary due to final berth or anchorage availability - please check at time of booking. Whilst all information is correct at time of publication, offers are subject to change or withdrawal.